Welcome to our newest funky creative workshop This workshop will teach you to create your own whimsical and witty mini birdhouse presented to you by local artist and designer Sonya Paz. 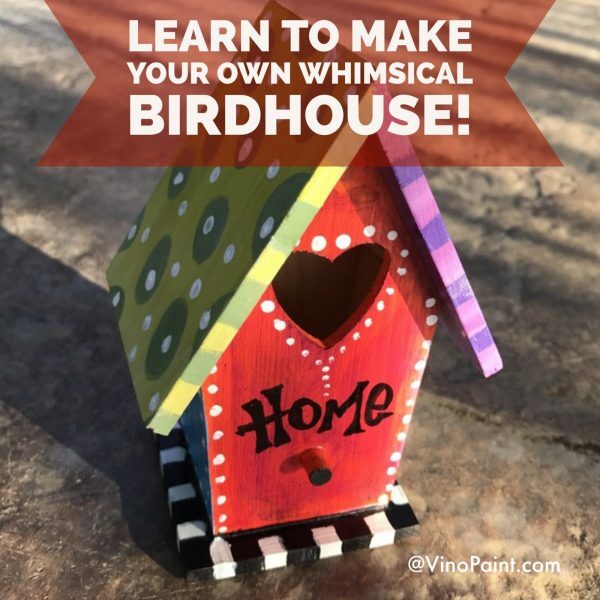 This fun and whimsical class that will teach you how to create your own hand painted mini birdhouse with colorful and funky techniques – perfect for spring. I’ll be teaching the basics of how to use use your imagination and wit to create your own, one-of-a-kind art expression! Absolutely NO experience necessary to enjoy this workshop. Each attendee will successfully create their own individual funky design that will be completed in class. If you are Miramar Vineyard wine club member, check for online specials or call the winery at 408-686-0280. 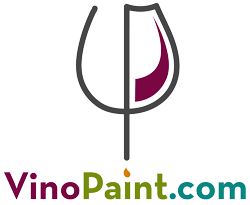 The price for this VinoPaint event will include one drink ticket at the winery and lite bites will be provided! Earlybird price is $49 until April 9th, then the price goes up to $55. There is limited space available for this class at the beautiful Miramar Vineyards in San Martin, CA. Please be sure to arrive by 5:45 to get situated – this class will start promptly at 6:00. All tools, paints, instruction blank wooden mini birdhouse for the class will be provided. The class will last roughly 2 hours.